Last December, jailed members of the Basque separatist group ETA came out and recognised the “suffering and damage” caused by their actions. The historic move also saw ETA prisoners finally acknowledge Spain’s justice system. Both decisions are key demands by Madrid before beginning talks to improve the conditions of inmates. Up until now the Spanish government, led by Mariano Rajoy, has followed a hardline against the separatists, but the new stance potentially paves the way for imprisoned ETA members to gain early release or be transferred to facilities in the Basque region of the country. The relatives of those jailed condemn what they see as a deliberate act of dispersal by the central government in Madrid. “We have almost 400 ETA prisoners in Spain. Only six are in the Basque Country and 45 percent are in Andalucia, which is a long way away from the Basque Country. Some prisoners are more than 1,000 kilometres away,” said Urtzi Errazkin from Etxerat, a group that represents the relatives of ETA prisoners. “We have to make it clear that we are the relatives. We haven’t done anything and we have the right to visit our family and our friends. Why do they punish us? Why do we have to travel so far, pay so much, and suffer this week in week out?’‘ Errazkin continued. The Basque human rights group, Argituz, also accuses the Spanish government of carrying out a deliberate dispersal policy against jailed ETA members and says prisoners linked to the separatists may have been tortured in jail. “There have been plenty of accusations of torture, not only against the jailed ETA members, but also those prisoners connected to social economic protests, as well as foreign migrants in jail. These appear xenophobic and racist in nature,” said Argituz’s Andrés Krakenberger. “Spain’s military police, the Guardia Civil, also refused an interview with us but did say ETA members are trained to say they’ve been tortured,’‘ Soares concluded. Iñaki Rekarte, 42, is a former member of ETA. He spent almost 22 years in prison for his role in a car bombing in Santander in 1992. Three people were killed and 17 more were wounded. Euronews’ Filipa Soares met Rekarte in a village in the province of Navarra – where he now lives and runs a bar. Rekarte did not want to be interviewed at his bar because of threats made by ETA. Filipa Soares, euronews: Have you ever been tortured? Iñaki Rekarte, former prisoner, ex-ETA member: Yes, when I was detained. As soon I was arrested, they started to beat me. But that was nothing compared to what happened later. They burst my eardrum with the first punch. They put a bag over my head. I fainted several times, because I couldn’t breathe. You really suffer when they put a bag on your head. You don’t have oxygen. You try to breathe, but you can’t. You faint. They reanimate you – and you faint again. They reanimate you again – and you faint again. It’s just terrible. And this type of thing was done by the Spanish state until recently. Even though everything that ETA did was not right, this type of treatment was never justified. The state always tried to hide it from the public opinion, from their country. They said ETA was ordering people to make these claims. That’s a big lie. The Spanish have always tortured – always, always, always… a thing that the French state hasn’t done. euronews: When did you decide to leave the “tribe” [ETA]? Iñaki Rekarte: I’d been thinking about it for a long time, but the actual decision coincided with my son’s birth. Someone told me that others also had children and didn’t leave. But I replied that each person knows what to do and that I didn’t want to leave my son without a father. It was a very difficult moment personally, because sometimes even when you think about something – and you’re sure about it – it’s still not easy to do. I don’t know… For me, I had arrived at a place where I was feeling very cowardly belonging to ETA – but very comfortable at the same time. euronews: And what’s ETA now? Iñaki Rekarte: Right now, ETA is a brand that uses people in the name of the Basque people. It believes that it’s Basque it says it represents Basque culture and the first Basque man – but it’s nothing! It’s a very serious problem for those who are in prison, who don’t know how they’ll get out of there. And inside the Basque Country, there’s nothing. ETA has become a justification for many people to earn a lot of money, to do business, to cover up many things. It’s a group of a few people, who don’t have any support – not even within their own circles. 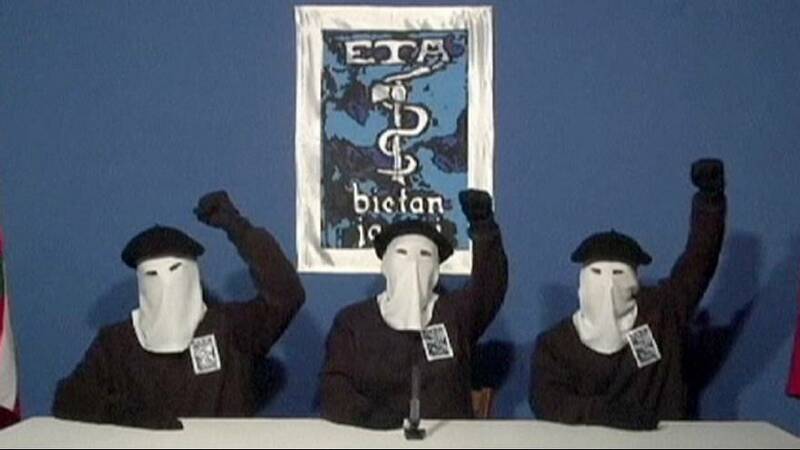 Sometimes it seems that to be a Basque nationalist means that you support ETA – and that’s just not true. 90 percent or even more are against that. And this has been the case for a long time. So, it’s only a serious problem for those prison. Nothing else.